The Spring Hoc Age: Junior magazine, completely written by our very own Junior Journalists includes articles on trips, events, sport and Junior School life. “Staff and pupils have been busy once again across a multitude of spectrums, ranging from musical achievements to sporting accolades. A significant highlight has been the Clock House choir’s recent visit to the Young Voices event at Manchester Arena. Our pupils have also channeled their competitiveness in order to participate in an inter-house sporting competition with huge success. 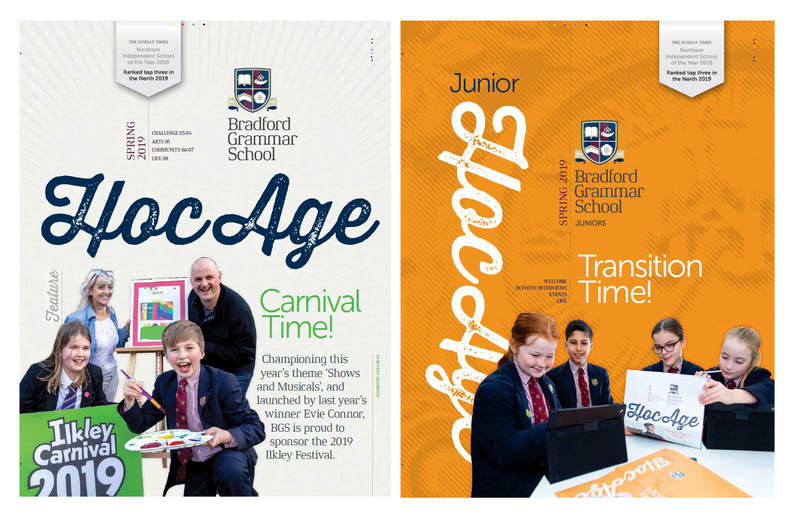 Our Spring Hoc Age: Senior and Sixth Form magazine features news from across the school including BGS ‘Challenges’ ‘the Arts’ ‘Community’ and ‘Life’ with an added supplement, this time featuring ‘sport’. “I have everything crossed for continued fair weather that will usher our exciting new sports build towards conclusion. The project, as completion approaches, looks fantastic and will greatly enhance sporting life at BGS. I would like to pay tribute to our Year 11 and 13 students who applied themselves to their mock exams, valuable practice for the real thing later in the year. The school play, ‘Teechers’, was a resounding success; well done to everyone who took part, both cast and crew. Trips close to home and farther afield to Berlin and Bologna have added flavour to the curriculum. Our unstoppable cross country runners keep, well … running, and winning. Table tennis teams are once again enjoying success in the regional and final stages of national competitions.